Kathryn Bertok had no idea what was going on. 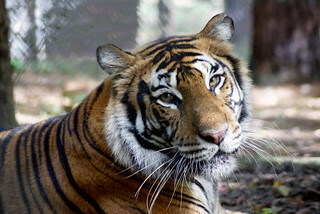 The Carolina Tiger Rescue curator, who was at the time living on site, started her morning like any other. She woke up, got dressed and walked her dogs. Only this morning was different. When she turned the corner leading to the driveway, she noticed a small dog crate covered with a sheet. It wasn’t there the night before. After returning her dogs inside, Bertok investigated the strange delivery. 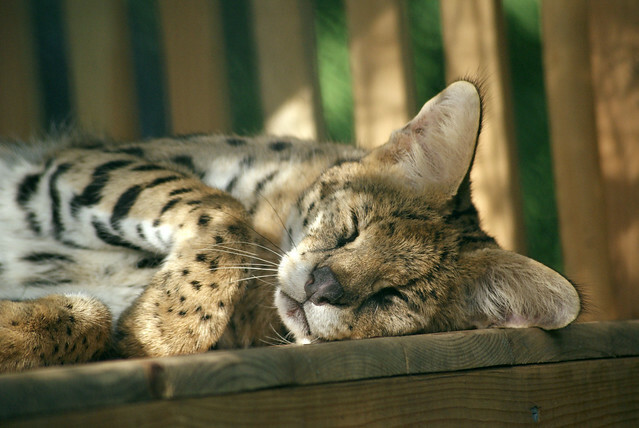 The day before Elvis Serval was left in Carolina Tiger’s driveway, someone had called about relinquishing a pet serval who had become too aggressive. Bertok, who makes animal rescue decisions, was off, so the caller was informed she’d get a call back. Elvis Serval was discovered abandoned in our driveway on April 27, 2009. He’s since settled into life as a wild cat at the rescue. Elvis’s former owners attached a note to the crate, saying they loved him but he was too aggressive. Like others who decide to have wild cats as pets, there aren’t many options once the animal shows its wild instincts. Very few make it to sanctuaries. Elvis’s physical condition upon arrival offered several clues about his past life. He was muscle-wasted and had scuff marks all over his face. It also appeared he had a collar on for too long, evidenced from the scarring around his neck. “He had a lot of abrasions,” Bertok recalled. “He had scuff marks, and they were either from being in the crate and transporting or living in the crate too long. Those were the things we noticed the brief time we had him down for a physical. Usually pacing animals would travel the length of the enclosure fence. Elvis didn’t. He paced a very short area. He’d take a step, pop up and then turn around. He did this back and forth when he first got to Carolina Tiger, indicating he had likely been in the crate and developing such stereotypical behaviors in his time as a pet. Watching Elvis explore his spacious enclosure at the rescue is truly amazing given his roots. Today, Elvis gets a whole carcass diet, hangs out under the sun if he so chooses and will come up to greet tours; he’s one of the first wild cats guests meet on tour. He has settled in fantastically. “The note said something like ‘is sometimes aggressive.’ And I thought: ‘Are you aggressive or are you a serval?’” Bertok said. 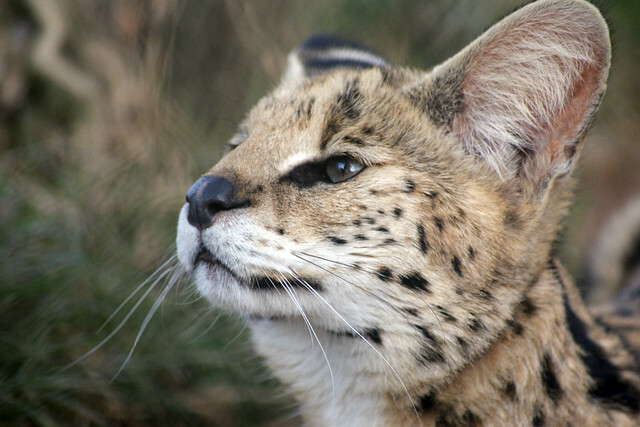 “He was a serval. 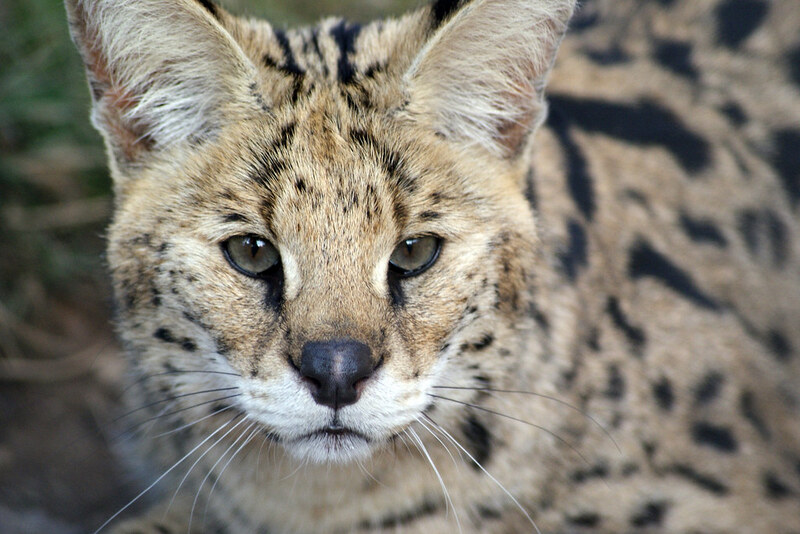 If you did something he didn’t like, he would hiss or swat, which is what servals do. 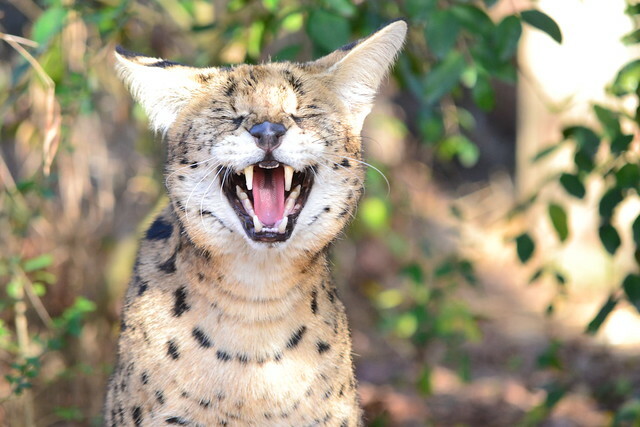 To me, an aggressive serval is a serval that is lunging at you and trying to eat you. Elvis didn’t do that. He behaved like a wild animal.